Note: This article was initially published on the WebTV network site Foodable on 7/26/16. 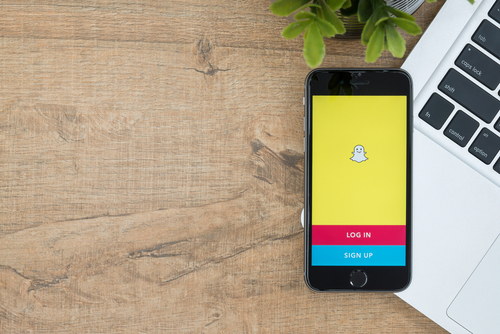 What do Snapchat and the fast casual restaurant industry have in common? They are both the fastest growing entities in their respective fields. Although it may seem like the restaurant and social media industries are completely different, they often work together to provide success for one another. According to a report by Bloomberg, Snapchat surpassed Twitter in daily usage earlier this month. A 4-year-old app was able to defeat a 10-year-old internet giant. Fast casual similarly bested a restaurant giant. Quick-service restaurants, otherwise known as fast food chains, have dominated the restaurant industry for decades. However, since the turn of the century, the demand for a healthier option from has grown. QSR Magazine reported that fast casual is the fastest growing restaurant type in the world for this very reason. In response, Millennials have become the dominant buyers in the fast casual industry. They were responsible for both the demand that led to the creation of the industry, as well as composing its main customer base. This trend is made evident inFoodable Network’s 2016 Super Millennial Report. According to the report, Millennials make up the largest generational group in the United States. In turn, they hold roughly $200 billion in annual buying power. More than half of these Millennials use social media regularly. Social Times stated that 59 percent of Millennials use Twitter. The American Press Institute said 88 percent of Millennials get their news from Facebook. The combination of their avid social media consumption and their massive buying power is an important relationship for restaurants to take note of — and it’s clear that many already have. You can’t use Facebook or Twitter without seeing a restaurant advertisement. It’s nearly impossible. However, a severely underused platform is Snapchat. As discussed, Snapchat has become the most popular mobile social media platform, mainly thanks to Millennials. Millennials clearly love both Snapchat and fast casual dining. Naturally, the two were meant for each other. Taco Bell is famous for kicking off its Snapchat launch with an exclusive product announcement. Followers were treated to a first look at the Beefy Crunch Burrito. While this is now a staple on the Taco Bell menu, this was the first consumers ever saw of it. Taco Bell’s Snapchat has only evolved from there, introducing exclusive filters and even short films to the platform. While Taco Bell’s Snapchat is well known for its exclusive product announcements, IHOP’s account is famous for its filters. In other words, IHOP created filters that can only be applied to snaps and sent while users are inside the restaurant. This aura of exclusivity attracted customers, as they felt they were special by being in on this “filter club” of sorts. This success wasn’t simply achieved by random chance. According to a Restaurant Business Online, Smashburger reveals exclusive content and gives out coupons through Snapchat. It’s clear that these benefits are working, as the same report states that 65 percent of Smashburger’s Snapchat followers watch their videos all the way through. Through the 6,800 reported in-store Snapchat coupon redemptions, we can see evidence of successful marketing achieved via said social media platform. Now armed with knowledge, you may be interested in using Snapchat for your fast casual. You can strictly follow the Smashburger model, mainly releasing exclusive coupons and premiering new products; it has clearly been successful. You can also follow the Taco Bell and IHOP models, which involve exclusive filters and Smashburger-esque product announcements. However, there are plenty more steps you can take to reap the benefits of the little mobile ghost. Before even launching your Snapchat account, you must make this action known. An article by Maximize Social Business encourages fast casual chains to advertise the creation of their Snapchat account on their pre-existing social media pages, such as Facebook, Twitter, and Instagram. This will create an instant follower base (one that will grow over time) to work with. Smashburger, Taco Bell, and IHOP all took this approach, and have been reaping the benefits ever since. 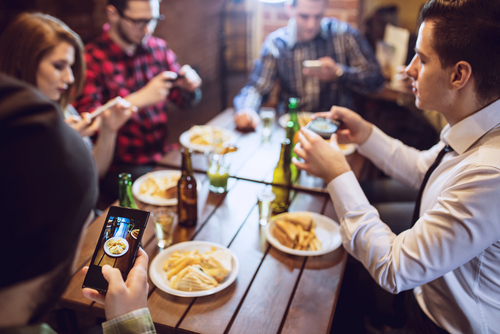 An article by Next Restaurants encourages fast casual employees to offer discounts for customers who Snapchat photos and videos of their food to their friends. This will serve two purposes. Customers will be pleased with said discounts and return to the restaurant in the future. In addition, the friends of said customers will receive enticing photos of food, encouraging them to come in for themselves, and, eventually, become regular customers. You are killing two birds with one snap. You can also avoid the middleman in this process entirely by simply sending pictures of food to the chain’s pre-existing Snapchat followers yourself. However, this will limit both the audience of your snaps, and the amount of new customers obtained through said snaps. This is mainly because your Snapchat followers are usually already loyal customers; you are trying to attract new consumers. Your Social Chef encourages chains to provide Snapchat followers with behind-the-scenes content. A popular method of achieving this is to film snaps in the kitchen, showcasing how the chain’s food is prepared and served. You may also give followers a dive into the corporate sector of the chain, giving them a deeper look into the intellect behind the restaurant they love. This method of Snapchat communication will allow fans to feel even more connected to your chain, perhaps even feel like they are “part of the family.” With connection comes loyalty; returning customers will continue to return, and perhaps even try to get their friends and family into the chain, providing you with new customers. Oracle suggests partnering up with ticket sales companies and giving away tickets to popular events. These may include films, sport games, plays, and concerts. What is popular to your customer base may differ on a location-to-location basis. Therefore, you must narrow down the events you choose to those that will be popular with the customer bases of the most locations possible. You can give out exclusive codes via Snapchat; the first redeemer is the winner of the tickets. However, you can also advertise a hashtag, use of which on Twitter or Instagram will enter the user into a lottery to win said tickets. The article cited Chat Sports’ Snapchat as a model of this technique. “The company last year offered existing followers a chance to win tickets to a local sports game if they convinced five friends to add Chat Sports on Snapchat. Those five friends then sent a unique image to Chat Sports that included the name of the referring Snapchat friend and the hashtag #gimmetickets. Some 150 people responded within 48 hours,” the articlesaid. Although this is not the most efficient method of giving out event tickets to your loyal Snapchat followers, it was a pioneering technique that evolved over time. An article by Carolina Social Media recommends sending followers exclusive passwords. These passwords can be used in a number of ways. Line skipping, free or discounted food, free chain paraphernalia; the list goes on. Customers will be required to give these passwords to an employee, most likely a register operator. This technique will encourage loyal customers to remain loyal. In addition, these customers will spread the word of these passwords, encouraging more followers. You risk the possibility of followers posting these passwords online or spreading them orally, but that is a risk that many Snapchat marketing techniques face. Oracle’s piece also makes a point of reminding you to remind your audience. An essential way for your chain to benefit from Snapchat marketing is through reminders. Remind your audience of what you have to offer. Whether it be an event, sale, product premiere, or giveaway, keep reminding your users of what you have to offer through regular snaps, as opposed to just one disappearing announcement. Customers will likely forget about these offers unless you repeat yourself. However, it is important not to go too far with reminders. Make sure you don’t spam their Snapchat feed, or you will risk losing followers, and, in turn, customers. There are a massive amount of Snapchat marketing techniques that your fast casual chain can implement. It is important to understand which of these methods will work best for your particular chain. Choosing the wrong technique could be worse than not using Snapchat at all. However, if you assess your audience, and follow some of the steps above, your fast casual chain will reap the benefits.